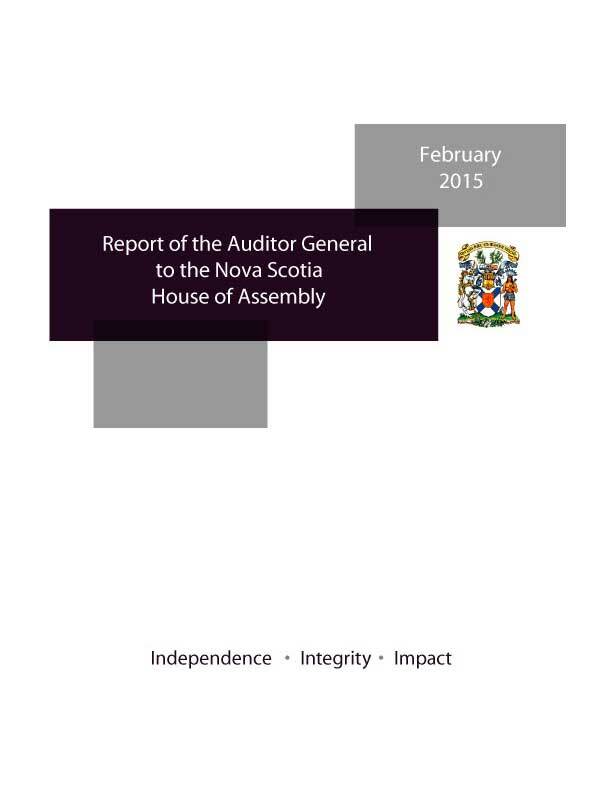 Nova Scotia Auditor General, Michael Pickup, released his November 2015 Report to the House of Assembly. The report includes the results of five performance audits: regional school board governance and oversight; business continuity management; funding to universities; monitoring and funding municipalities; and forest management and protection. Videos introducing each chapter are available in the Chapters section. 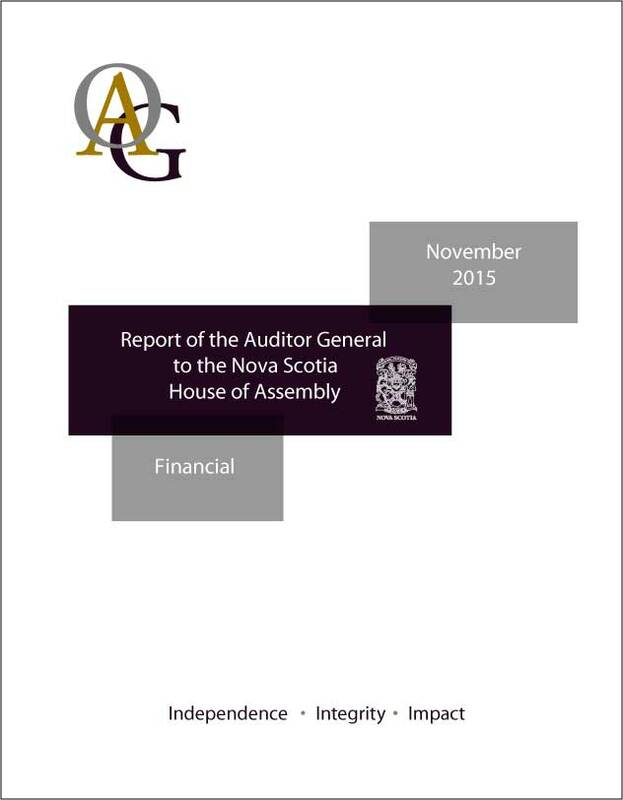 Nova Scotia Auditor General, Michael Pickup, released his November 2015 Report to the House of Assembly. The annual report on financial reporting in government includes information on the results of the Office's legislated work, including the audit opinion on the government's consolidated finanial statements for the year ended March 31, 2015, and his opinion on the reasonableness of the $9.9 billion revenue included in the March 31, 2016 budget. The report also includes comments on the financial condition of the Province, as well as a summary of external auditors' findings and recommendations on audits conducted in government boards, agencies and commissions. Nova Scotia Auditor General, Michael Pickup, released his June 2015 Report to the House of Assembly. The report includes information on government's progress in implementing the Office's performance audit recommendations from 2011 and 2012; aquaculture monitoring; procurement and management of professional services contracts; and responsible gambling and the prevention and treatment of problem gambling. Nova Scotia Auditor General, Michael Pickup, released his 2015 financial report to the House of Assembly. The report includes information on unfunded employee retirement benefits and compensated absences; indicators of the province's financial condition; results of the Auditor General's financial statement audits and reviews; review of audit opinions and managements letters for certain government entities; and follow-up of recommendations in the January 2012 report. 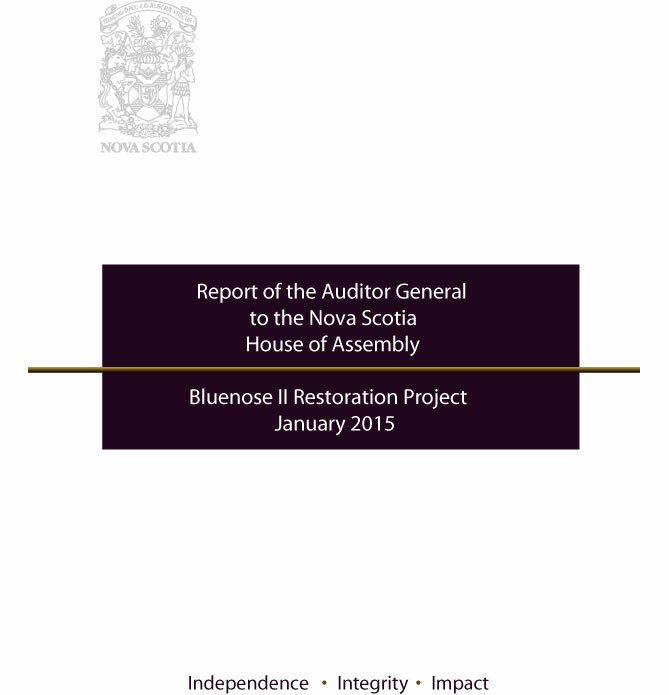 Nova Scotia Auditor General, Michael Pickup, released his 2015 special report to the House of Assembly on the restoration of the Bluenose II. The report assesses whether the project was adequately managed by the Department of Communities, Culture and Heritage and whether provincial resources were used appropriately.